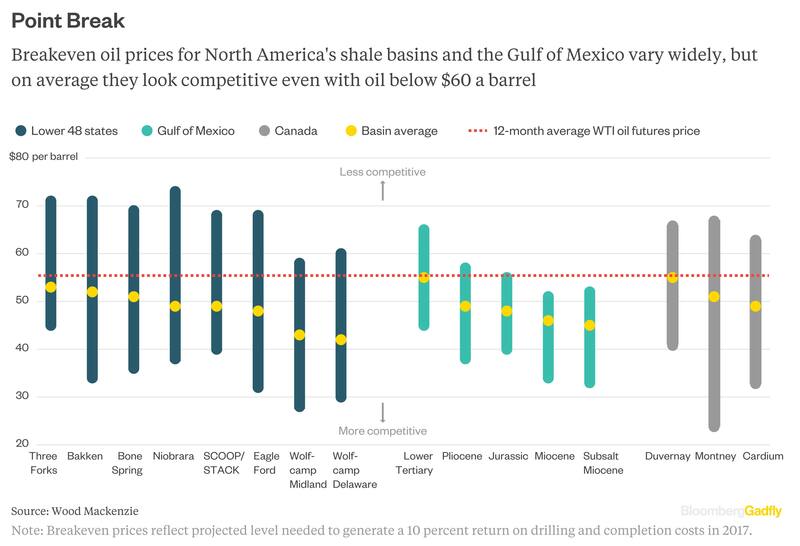 Bloomberg Gadfly released an article earlier this month delving into the breakeven crude prices of North American shale basins. While it was not news that OPEC nations will enjoy, for U.S. shale investors, it is a welcome development. The main takeaway from the article was “breakeven oil prices for North America’s shale basins and the Gulf of Mexico vary widely, but on average they look competitive even with oil below $60 a barrel.” In particular, the Wolfcamp Midland and Wolfcamp Delaware regions of West Texas’ Permian Basin rate attractive breakeven points at around $42 per barrel on average. It shows Wood Mackenzie’s projections of breakeven oil prices for new wells in North America’s shale basins and the Gulf of Mexico. The first thing to notice is that, on average, it makes sense on paper to drill almost anywhere. Reality is a bit more complicated. As we discussed in this earlier column, all-in costs for exploration and production companies include things like general and administrative overhead and interest charges, all of which must be borne by the barrels they produce. 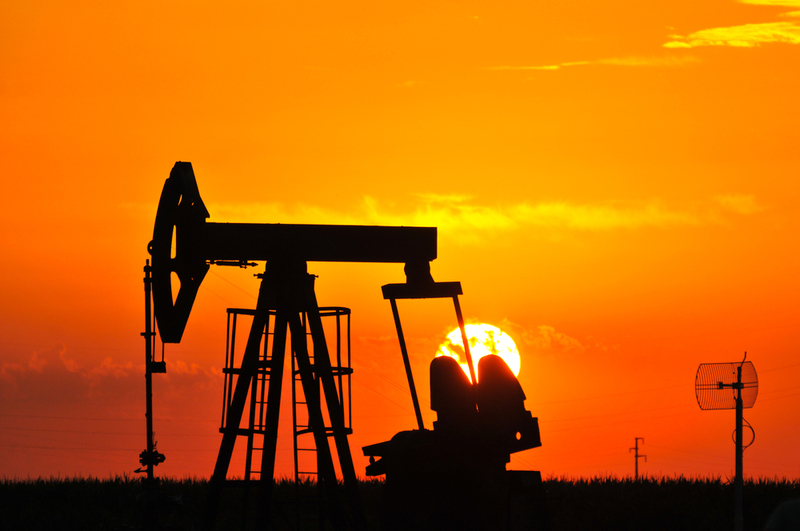 In addition, transportation costs can vary widely depending on where you’re drilling, where your refining customers are and whether the oil is being shipped by pipeline, rail-car or truck.